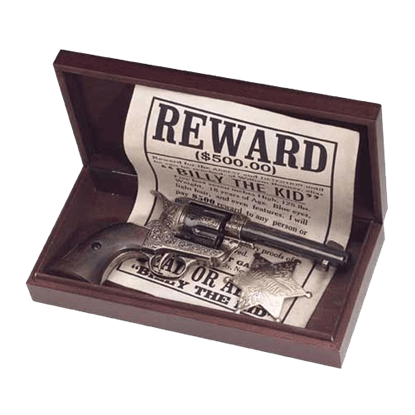 The Dark Wood Pistol Replica Display Box safely stores your treasured collectibles while allowing all to admire and appreciate the rich history of said pieces. This clear pane display case is just the right size for a western revolver. A beautiful replica pistol deserves a stunning display. 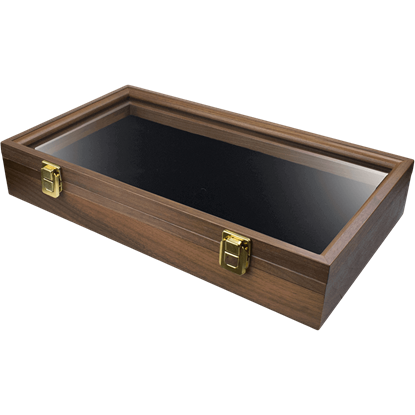 Luckily, this Large Wooden Pistol Display Box is perfectly suited for the task, possessing a rich, appealing look that ensures that your pistol gets its due attention. 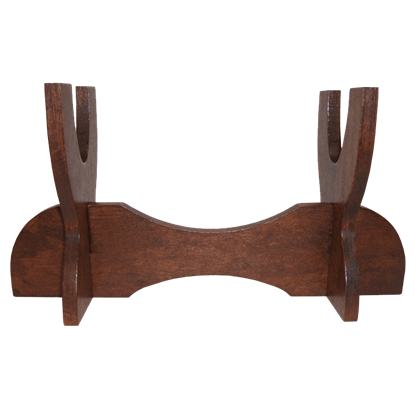 Our One Pistol Stand Long would make a great display stand for any pistol in your collection. This sturdy pistol display is equipped to hold one pistol. 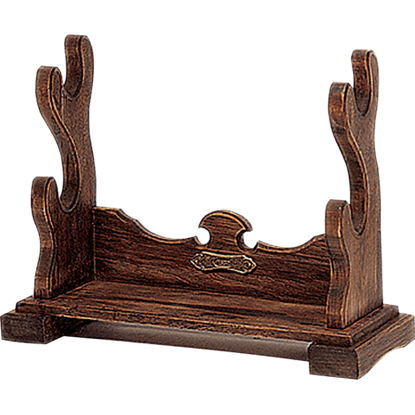 It features solid wood construction and is a way to display your favorite piece. Sometimes, it is the simplest displays that are the most effective of all. This Plastic Pistol Display Stand is a universal display stand that is effective for all sorts of replicas, and it is also extremely cost-effective, too! 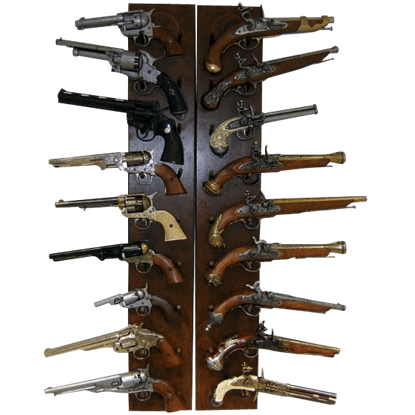 If you find yourself with a significant number of swords, pistols, or replica weapons, then perhaps this Sword and Gun Wall Display Stand is just the thing you have been looking for, as it will transform your weapons into a great display. The Wood Stand for Pieces is a great display stand. 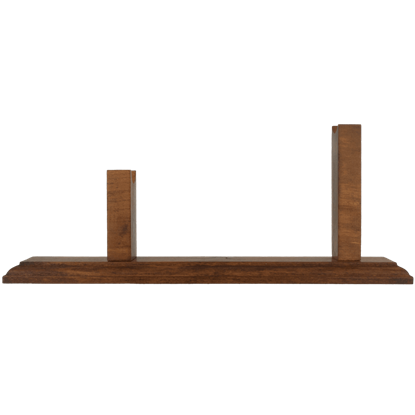 This piece has enough space to display up to twelve of your favorite pieces. 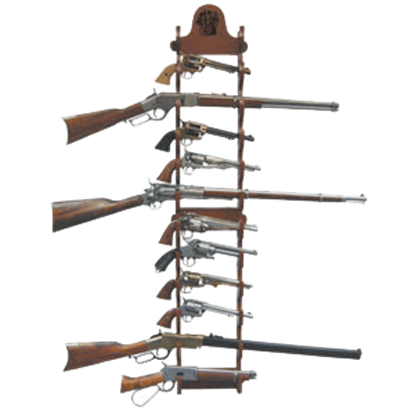 This economical rack is a way to display your replica guns and swords without taking up a lot of space. Do not let the small size of this Wooden Firearm Stand fool you into thinking that it is made only for small pistols, because it is not.  The four-footed design is surprisingly steady, making it great for supporting larger firearms, too! Like any good weapon, a replica revolver needs a good home, and there is none better than a simple, quality stand that will show off your pistols good side. 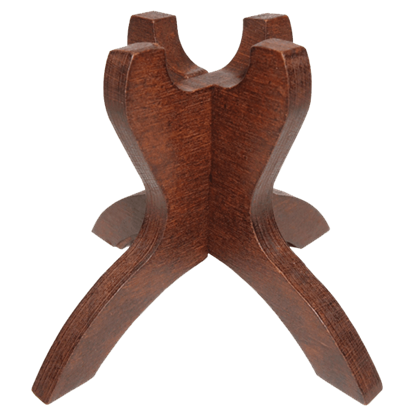 This Wooden M1851 Navy Revolver Stand is one such stand. 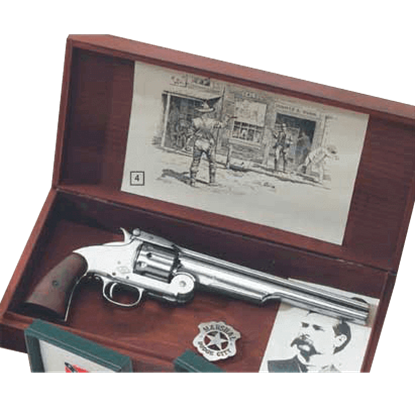 A beautiful replica pistol deserves a stunning display. Luckily, this Wooden Pistol Display Box is perfectly suited for the task, possessing a rich, appealing look that ensures that your pistol gets its due attention. It would seem a shame to leave your fine looking pistols just sitting around in a haphazard pile. That is why we offer this Wooden Pistol or Dagger Stand, so that you can pick up your arms and put them on display with moderate ease! 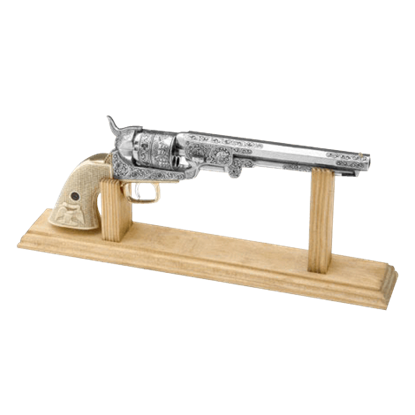 Showcase your favorite small firearm replicas with the Wooden Pistol Stand. 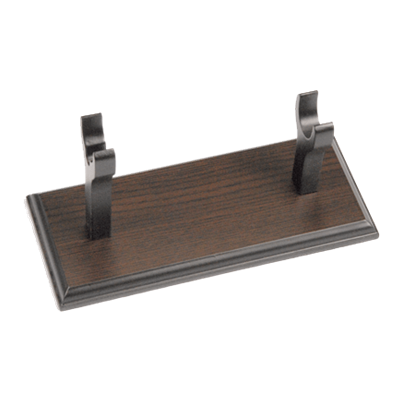 Made from high quality wood, this simple and elegant stand makes your collectible the main focus of its display, whether placed on a shelf, desk, or table. Exquisitely crafted from wood and featuring elegantly curved arms, the Wooden Two Pistol Table Stand is an exceptional means to display your decorative pistols. This stand beautifully complements items ME-0167 through ME-0171.